Mental Illness help since 1937. Being diagnosed with a mental illness is not an easy pill to swallow. What you soon find out is that you have to swallow a lot of pills, if you follow the traditional psychiatric path to wellness. In other words, you'll be taking pills forever. Some patients need them. Some don't. And even if you are taking the pills, they don't always produce results. 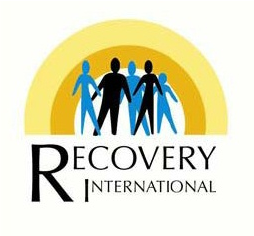 I'm thankful to my sister for introducing me to Recovery International - A mental illness treatment with results. Recovery International (RI) was originally formed as Recovery Incorporated in 1937 by a group of mental illness patients at an Illinois university. The program was headed by Dr. Abraham Low. Eventually, RI left the university and set up its own facility, which followed the methods of Dr. Low. The goal of Recovery International was to give patients workable tools to deal with their mental illness and hopefully keep them out of an institution or even get them off of medication. Dr. Low's tools are called spotting techniques - which is a phrase that a patient can use to spot what is in front of them and help them move forward. As an example. I was suffering from chronic anxiety with regard to shaving and showering. It started at the end of 2009. I would tense up every time I went near the bathroom with the intent of shaving or showering. The problem got worse when I moved to Cleveland in March of 2010. I would have severe anxiety attacks every time I even thought about cleaning up. I would go weeks without shaving or showering. Then, I'd force myself to do it and dread the next time I had to get cleaned up. In January of 2011, I began attending weekly Recovery International meetings. We have a small group - three to six people attend the meetings. At each meeting, we begin by reading a chapter from Dr. Low's seminal work, Mental Health Through Will Training. At first, I was a little confused because I did not know the spots that the other members were using. Our group leader gave me a sheet with a list of about 100 spots to use at our meetings and when I went home. One of the spots I used was: Move muscles to retrain the mind. I started to force myself to shave and shower. I moved my muscles. Over a four or five week period, I continued to practice this spot and by the sixth week, I no longer had any anxiety. It's been seven months since I successfully retrained my mind by moving my muscles. I shave and shower without any symptoms. Dr. Low's method revolves around identifying temper - there is angry temper and fearful temper. Angry temper at its extreme is violent. Fearful temper at its extreme is suicide. Group members will share an incident where they used the spots to help them through an episode of either fearful or angry temper. Other group members then take turns selecting other spots to help clarify the person's thinking. I found this methodology to be so proactive. Recovery International spots are tools that I use on a regular basis. They help keep me in control or help me get back into control - something no medication can do. I'm leading a much more functional life as a direct result of techniques I've learned from Recovery International. I highly recommend RI over any other program that I have attended. Recovery International has meetings all over the world. There are probably several meetings in your town this week. To find a meeting or learn more about Dr. Low's methods, check the Recovery International website. As a consumer in the psychiatric world, I was not seeing the results I desired from the prescriptions my psychiatrist was so happy to write. Recovery International, however, is a mental illness treatment with results - and that is what we are all seeking.